Farmers have been cutting down paddock trees at an increasing rate. The state's farmers have lopped paddock trees at an accelerating rate in the past 18 months even before a new land-clearing law eases controls further, government data shows. The new figures, which reveal the rate of clearing of paddock trees has more than doubled since November 2014, come as the Wentworth Group of Concerned Scientists wrote to all MPs to call for a reversal of "retrograde changes" planned in the new Biodiversity Conservation act. NSW farmers used a new self-assessment code to remove 21,716 paddock trees or more than 50 a day over the past year and a half. The rate, at an average of about 50 per day, was 140 per cent more than the average over the previous seven years, data from the Office of Environment and Heritage showed. Paddock trees, judged to be single or small patches of trees, make up 40 per cent of remaining woodland cover, OEH says. Satellite monitoring by OEH would probably have detected even more clearing but the public has been left in the dark because the O'Farrell-Baird governments had failed to release a native vegetation report since 2013, Mehreen Faruqi, the Greens environment spokeswoman, said. The Greens had also sought information on the number of applications OEH received and what if any compliance of the self-assessment codes they conducted, Dr Faruqi said. "If almost 22,000 trees can be removed under the existing law, then it will be a disaster when new laws that further facilitate land clearing are brought in," she said, adding the latest tree-felling numbers were "the tip of the iceberg". A spokeswoman for Niall Blair, Minister for Primary Industries, did not address the scale of tree clearing on farms, but said "the proposed Biodiversity Conservation package aims to reverse the decline of biodiversity in NSW because the current system isn't working". 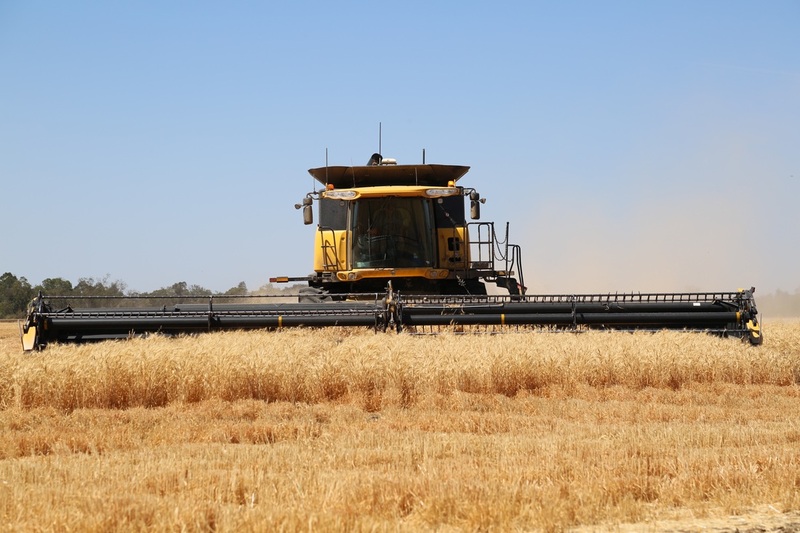 The NSW Government is currently seeking feedback on the draft reforms and stakeholders including environmental groups and farmers are encouraged to put forward a submission before June 28," she said. Labor's environment spokeswoman, Penny Sharpe, said the figures "ring alarm bells on how far the current biodiversity laws have already been watered down". "If these laws proceed in their current form, there will be a return to land clearing on a scale unseen for decades in NSW with catastrophic impacts on native animals, soil, water and greenhouse gas emissions," Ms Sharpe said. The Wentworth Group was also scathing of the new proposals, warning that "key elements [of the new act] will substantially weaken existing protections" contained within the Native Vegetation and Threaten Species acts which will be replaced by the new Biodiversity Conservation act. The group's criticism carries additional weight because one of the signatories to the letter is Professor Hugh Possingham, a member of the Biodiversity Review Panel that reviewed the existing legislation. The proposed law contains three major flaws including a weaker set of codes that would permit more broadscale land-clearing, a lack of mapping of areas of high conservation value, and its $240 million plan to reward private landholders protecting native vegetation on their properties may end up as "a taxpayer subsidy to farmers to degrade land", the group said. "The watering down of laws to stop broadscale clearing is driven by a small handful of property owners who believe they have the right to do whatever they wish, irrespective of the long-term damage this might cause to the rest of society," the scientists said. Mark Speakman, environment minister, said he had noted the scientists' concerns. "There are a range of diverse views on the proposed reforms," he said. "The draft reforms are designed to protect biodiversity and create the best possible outcomes for the environmental future of NSW."